The photograph above was taken during a visit by Alan Ventress, Director State Records to the University of New England and Regional Archives in 2008 when he presented them with a grant cheque for $21,000 to continue their documentation of State archives. This is the first in a series of posts introducing each of the Archives that are members of State Records network of Regional Archives Centres. However, before we kick off with posts featuring each of the repositories individually, I thought it would be handy to provide a bit of general information about the history and nature of the network as well as some information about the types of State archives you are likely to find in a Regional Archives Centre. State Records has a network of six Regional Archives Centres that are spread out across the state. 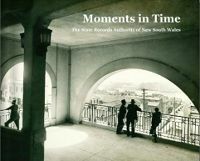 They play an important in role in providing people in regional New South Wales with access to State archives that relate to their local area. Together with the Community Access Points they form the foundation of State Records regional outreach. What is a Regional Archives Centre? private collections of archives that relate to the region and/or the host institutions activities and interests. The network of Regional Archives Centres is made possible by the generosity of the host institutions who assume responsibility for storing and providing access to State archives. Each of the host institutions is a “public office” or agency under the State Records Act 1998, in this case either a university or local government library. The relationship between Regional Archives Centres and State Records is usually managed under a distributed management agreement, amongst other things this stipulates how the records are to be stored, handled and accessed. While each of the Regional Archives Centres varies in terms of the size and focus of its State archive collections there are some types of State archives that are common to several of them. School records, especially Admission registers and Punishment books are common to most of the repositories and tend to have a fairly high use. Admission registers in particular provide a lot of information useful to family historians. Local government Rate Books are found in most repositories and again tend to be very popular. The archives of Local Land Board and Crown Land Agents are also typical of the State archives that can be found in Regional Archives Centres. While they don’t tend to get the high use of some of the other record series, the information they provide about the local region is invaluable. Other types of State archives held by Regional Archives Centres include Police, Local Courts and Mine archives. As mentioned above the holdings of each Regional Archives Centre varies widely so if you’re planning a visit it’s a good idea to phone or email ahead to check on their holdings. A full set of the Archives Resources Kit can also be found at all Regional Archives Centres. State Records provides financial support to Regional Archives Centres through the Archives in the Bush Grant Funding Scheme. This funding has been used to upgrade infrastructure, such as air conditioning systems, security and shelving, as well as preserve and document State archive collections. Check out our Regional Archives Centres web page for information on the location, opening hours and contact details of each Regional Repository. Found this article very insightful. In particular State Records has a network of six Regional Repositories that are spread out across the state. They play an important in role in providing people in regional New South Wales with access to State archives that relate to their local area. Thanks Trevor, I’d definitely recommend a visit if you happen to be passing by any of the regional repositories and you have an interest in their collections. My Grandfather is the one in the middle!